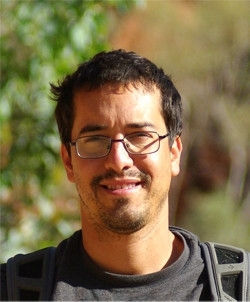 Luis is a Research Fellow with the Interdisciplinary Conservation Science Research Group (ICSRG) at RMIT University. He also works as part of the National Environmental Science Programme - Clean Air and Urban Landscapes Hub (NESP-CAUL), where he is contributing to 'The shared urban habitat', a research project looking at addressing the broad question of how humans can effectively share the urban habitat with other species. He is particularly interested in developing a protocol for bringing back nature to urban environments. He is also conducting research for The Little Things that Run The City, an insect ecology and conservation project exploring how Melbourne’s green spaces support insect biodiversity and ecosystem health.